Meet us at Hall 11.0 Booth A70 between 11-14 April, 2018 in Frankfurt am Main, Germany. Try our latest instruments and meet us personally on 13th-14th, April. The Melbourne Town Hall pipe organ, and its virtual version, has a range of special features not usually found in other organs. The vast array of possibilities these features present can be a great aid to the organist / musician. In this blog post we will cover some of the more interesting, and perhaps unusual aspects and features. The fourth in a series of articles dedicated to what many regard as Australia’s finest church organ – and the story of its hard-won virtualization by Inspired Acoustics. The third in a series of articles dedicated to what many regard as Australia’s finest church organ – and the story of its hard-won virtualization by Inspired Acoustics. The second in a series of articles dedicated to what many regard as Australia’s finest church organ – and the story of its hard-won virtualization by Inspired Acoustics. The first in a series of articles dedicated to what many regard as Australia’s finest church organ – and the story of its hard-won virtualization by Inspired Acoustics. This article describes the main idea behind the technical approach how Inspired Acoustics virtual pipe organs are recorded. What kind of sonic properties does a 38 ton instrument have? 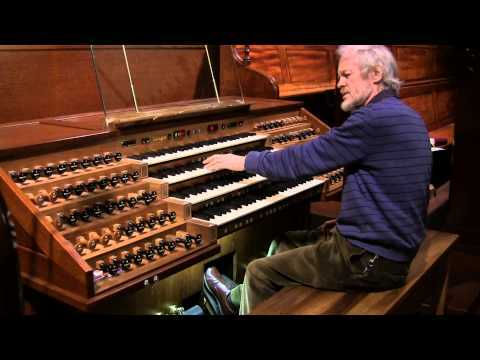 The article describes the PAB organ and compares its acoustical properties to the Pusztaszabolcs (PSZ) baroque organ. Frequency range, dynamics, and more. Adam Herrick (UK) introduces himself and the creation of a series of documents: the Historical Registration for PAB. The documents are available for download.